Our first piece by bladesmith Niko Nicolaides, this 185mm / 7.28" chef knife is dressed in beautiful ironwood with integral bolster construction. 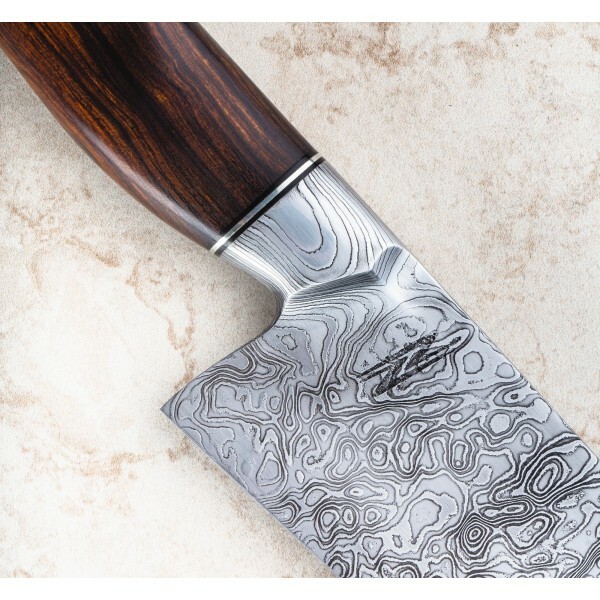 The blade, hand-forged in Niko's 50-layer pattern damascus, house-made from 1084 & 15N20 carbon steels, is lightweight and superbly thin behind the edge with a slim, tapered spine that provides just the right amount of flexibility while maintaining enough strength for more demanding cuts. An incredibly functional and versatile knife in size and geometry, the handle, accented with black G10 and nickel silver spacers, is compact in style and seems to hug your hand in any grip, shaped beautifully with Wester curves. Outstanding work from the newest Eatingtools artist. 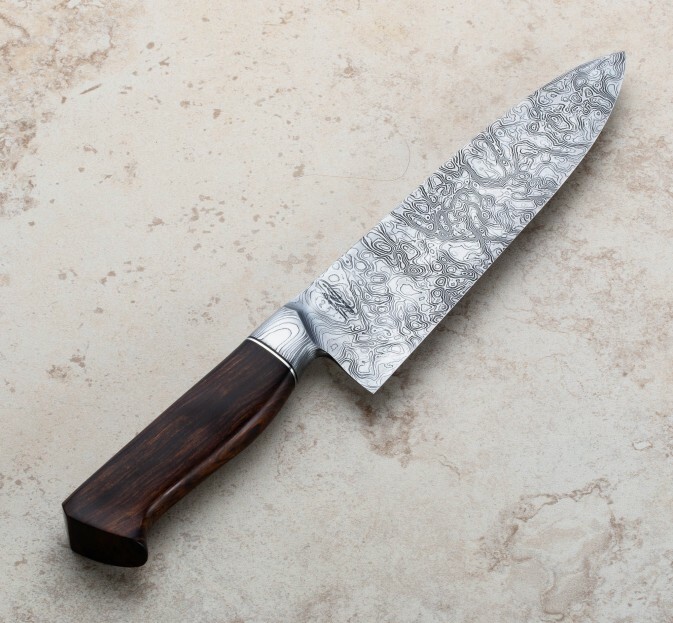 At his one-man studio in Detroit, Michigan, Niko Nicolaides creates custom chef knives with a focus on unique, house-made damascus pattern steel and hand-forged blades. A self-taught, full-time bladesmith, Niko worked previously as a CNC programmer and operator before leaving to hone his skills on the decidedly analog, artisan end of the object-production spectrum. 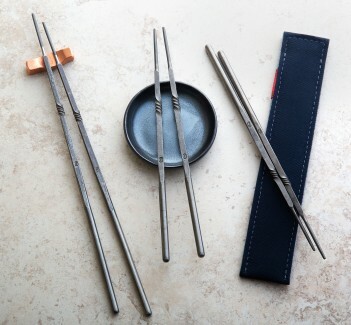 A desire to make great looking, superbly functioning culinary tools that will last a lifetime is why he does it. Blade: 185mm / 7.28". Overall length: 395mm / 15.55". Blade width at heel: 2.2mm. Blade width 1" from the tip: 1.1mm. Blade height at heel: 48mm. Weight: 5.6oz / 160g. 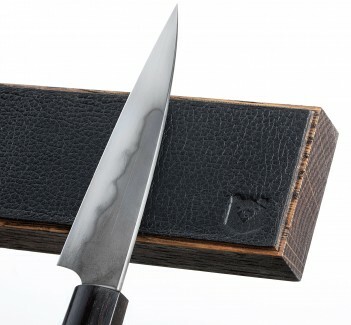 Blade: 50-Layer Damascus of 1084 & 15N20 carbon steels. Handle: Ironwood with black G10 and nickel silver spacers.